If you are a retailer looking for social media marketing inspiration, take an adventure with a social marketing trailblazer: The North Face. North Face has been recognized by Outdoor USA Magazine for their social media excellence. This comes as no surprise, as they have been at the forefront of social marketing innovation for years. With over 3 million fans on Facebook, over 100,000 followers on Twitter, and over 1.5 million views on YouTube, North Face is constantly evolving their social platforms. How do they do it? And what marketing tips can you learn from this agile company? 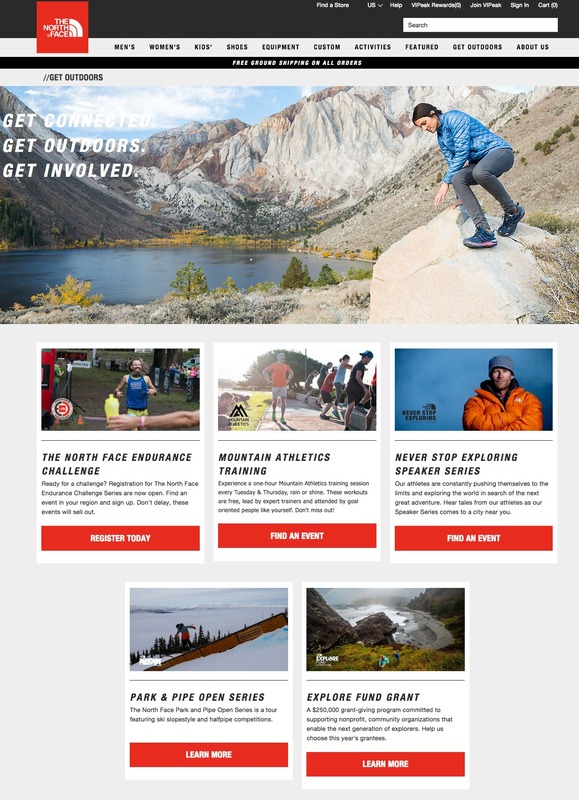 The North Face online excels at creating a community of outdoor enthusiasts. If you have a passion for rock climbing, extreme skiing, biking, hiking, or simply love the outdoors, The North Face is the place to be. Through Facebook, Twitter, YouTube, LinkedIn, and Google+, The North Face keeps active with a consistent theme of passion for the outdoors. 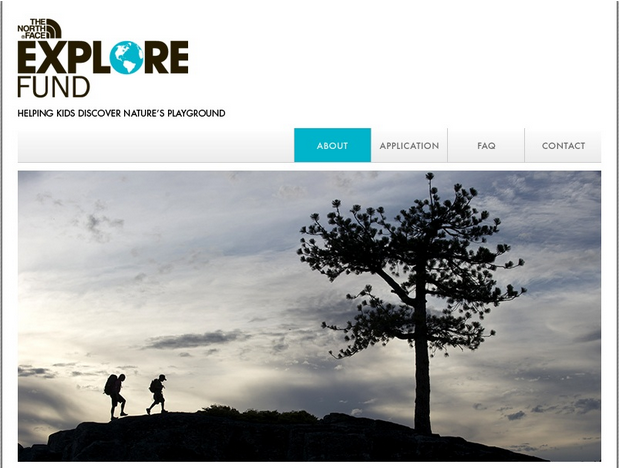 An exceptional example of creating a community online is their partnered online hub, Planet Explore. This massive community site focuses on families and individuals to get out and get involved in outdoor activities and events in their area. Their site is global, yet they focus on the local - building offline communities through their online resources. Users can sign up through Facebook. It is easy to get involved, which makes it easier to get outdoors. With over 100 partners, the site has many local events for local customers. Additionally, the site provides blogs, podcasts and videos. The site is also segmented to cater to targeted markets of those interested in hiking, boarding, camping, volunteering, and even just playing in the outdoors. What can e-retailers learn from this? With over 3 million Likes on Facebook, and over 112,000 followers on Twitter, The North Face does wonders at cross-promoting their social media sites. A study on the North Face found 40% of their Twitter posts contained links back to their Facebook page. Similarly, many of their Facebook posts include Twitter hashtags and links. As a result, this increases followers to both social sites. North Face has a social presence wherever their customers might be, effectively using cross promotion to increase traffic. Their website links to their blog, Facebook, Twitter and YouTube channel. They also have a Facebook tab for their Instagram site. Their Google+ page is promoted through their YouTube site and Expedition Journal site. The North Face is an ethical company, with strong roots to volunteerism, non-profits, and giving back to the community. They recently innovated their Explore Fund giving program to a whole new social level. This year they are not only increasing their grant funding, they are also introducing a more social element as to how they award their grants. Using Facebook, they will be crowdsourcing the selection process for the top 10 grant awardees. This spreads the message of the ethical nature of North Face to their current 3 million Facebook fans. It also gets the non-profit organizations more interested in spreading The North Face brand to get more votes. This in turn results in more Facebook fans for The North Face. Use third party apps, such as those offered by Wishpond, to easily set up vote contests, sweepstakes and other social promotions. Consumers these days want to be informed. In fact, over 95% of consumers in North America use the internet when researching future purchases. The North Face takes this one step further. Their YouTube channel, for example, informs their market about product specifications. With video, they show how the products are amazing to use in the authentically picturesque great outdoors. Videos include hikers on remote mountain terrains enjoying beautiful blue sky vistas, or skiers on pristine powder slopes soloing down a steep incline - all while wearing the clothes of North Face and describing the product specs. They also upload lifestyle related videos, such as extreme rock climbing and other outdoor adventure events. This attunes to their outdoor adventure market and their YouTube channel becomes the source of information for lifestyle choices too. With more consumers viewing videos on mobile and through their televisions, The North Face is again creating a dedicated following by providing the information their customer wants. Their YouTube channel has 175 videos, nearly 9,000 subscribers, and over 1.5 million views. Keep your customer informed about your product. Provide information about specifications. Use various mediums to get your information to your consumer. Make a YouTube video, podcast, or photos to show the uses of your product. Provide lifestyle information too, to keep your customer coming back for more. Being on social platforms means being interactive with your fans and market. Companies who understand this have much more success in their social media marketing. The North Face once again outperforms its competitors. In addition to their extreme interactions outlined above, they are very social and interactive on all of their social media platforms. On both Twitter and Facebook, for example, they have run photo contests. On Twitter, they ask their followers to upload a photo using the specific hashtag #GearUpGetOut. Additionally, their fans can upload their photos to their Facebook page. A prize is awarded to the best photos. This generates excitement about their brand, and incentivises interactions on their social media sites. Their blog sites are highly interactive as well, with photos of kids too cute not to cuddle, and amazing outdoor scenery that makes you want to be a part of whatever they are selling. Their blog is open to comments, and is easily shareable. Use sweepstakes and contests to increase interactions on your social media and websites. Make your blog articles easy to share. Be sure to include social share buttons. To make your contests easy to manage, use Wishpond’s social promotion apps, like our photo contest, sweepstakes, or photo caption contest for Facebook and Twitter. Wishpond has many products that can help you to be the best online marketer you can be. We have easy to use apps for contests, sweepstakes, group deals and more. Check us out.